Barboursville, WV WW/Press/August 15, 2017 – Steven T. Cook, The Proprietor & Attorney at Cook Law Office PLLC was selected for inclusion in the forthcoming Top Attorneys of North America 2017 edition of The Who’s Who Directories. 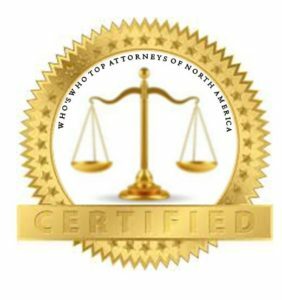 The accomplishments attained by Mr. Steven T. Cook in the field of Legal Services warrants inclusion into The Top Attorneys of North America. Steven Cook, the proprietor and attorney at Cook Law Office PLLC, has more than two decades of experience in family, criminal, and personal injury law. He is appointed by the court to handle Guardian Ad-Litem work. Mr. Cook has been serving the Barboursville, Huntington and the surrounding areas for the past five years.Whether a person needs legal help with a family law matter, divorce, criminal defense case, personal injury, car accidents, Social Security Disability for SSI or SSDI, or advice on a will and last testament, the firm provides the most professional, experienced legal counsel in all of West Virginia. At Cook Law Office, they will protect their clients’s rights while providing compassion and understanding. Mr. Cook’s unique personality offers a calm, cool approach to your legal issues. He will zealously take your position and use his experience at the Magistrate, Circuit & Supreme Court levels. Mr. Cook secret to his success has been good clients communications. He takes the time to get to understand a clients’s case personally, so they can decide together the best and most realistic course of action depending on the situation. He takes the extra time with his clients and establishes relationships to get the best results and have a positive outcome. Mr. Cook received his B.S. and J.D. from the University of West Virginia. He has Multiple Supreme Court Appeals, he is listed in Strathmore Who’s Who, and recognized as Outstanding College Students of America. Be the first to comment on "Top Attorney – Steven T. Cook"